01.18.10, originally uploaded by elizabethlmccoy. 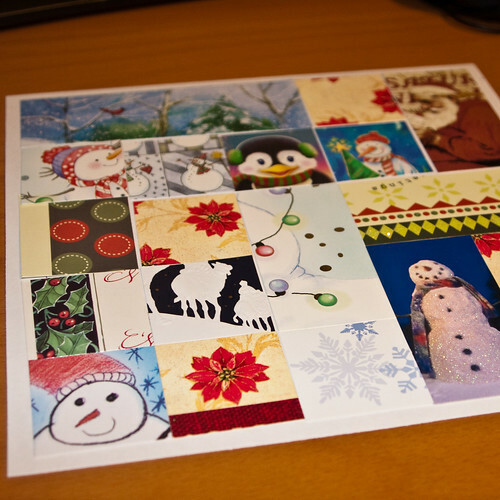 "01.18.10 - Saw this on a scrappers blog how she keeps her holiday cards year after year. I decided to kind of make it too. It would fit into my 8x8 scrapbooks. I want to add a vellum strip across with 2009 on it. We didn't get too many cards this year so they all fit on this one page. "